Rejoice in the Lord always: again I say, rejoice! Despite my current immersion in Pope St. Leo (or is it because of it? ), I will not quote Tr. 11 for the Advent Ember Days (of which today is one). For that, you can go here or here (and please do!). 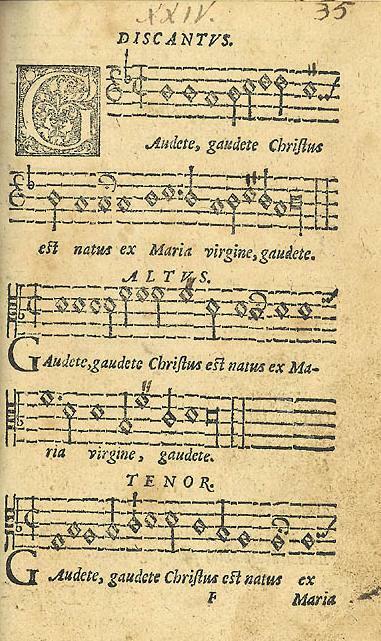 For his Christmas sermon beginning, “Gaudeamus,” go here. Those who know Latin know where they can go already, I assume. Let us return songs of happiness faithfully. The world is renewed by Christ who reigns. whence light arose, salvation is found. May it bless the Lord; salvation is from our King.